Siemens inks partnerships to break new smart grid ground in demand response, energy trading. Siemens’ smart grid plan has always included partnering up where it lacks expertise in particular facets of the industry -- even if those partnerships sometimes end up in an acquisition, as with eMeter. This week saw Siemens announce two software partnerships that help indicate how the German industrial giant is expanding its presence in the smart grid. The first is aimed at smart grid integration, with an eye toward citywide demand response. On Monday, Consolidated Edison announced it had picked Siemens and enterprise IT provider TIBCO to build a back-end system to tie together New York City utility’s multiple stimulus-grant-funded smart grid projects. ConEd has won $181 million in Department of Energy stimulus grants to expand its smart grid work, mostly in New York City, with plans for smart meters, distribution grid automation and integration of buildings, renewable energy and plug-in vehicles. This week’s announcement says that Siemens is providing its smart grid visualization capabilities to ride on TIBCO’s enterprise messaging technology -- in other words, Siemens is the dashboard, and TIBCO is the switchboard, for ConEd’s hoped-for unified smart grid suite. Part of Siemens’ work for ConEd includes a demand response platform for New York City, Thierry Godart, president of Siemens’ U.S. smart grid division, told me in an interview at last month’s DistribuTECH conference in San Antonio, Texas. 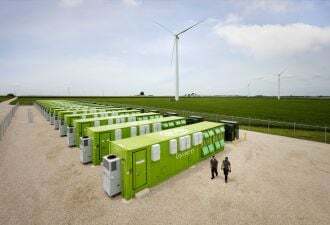 The idea is to connect utility smart grid systems to building power loads that can be turned down in close to real time to avoid overloading distribution lines or forcing rolling blackouts. The idea of taking today’s hour-ahead or day-ahead demand response to a faster and more grid-integrated level isn’t unique to Siemens -- in fact, it’s focus of smart grid heavyweights including General Electric, ABB, Schneider Electric, Johnson Controls, Honeywell and others. Siemens has deployed similar capabilities with smaller utilities including Wabash Valley Power, Godart told me. But New York City represents a whole new scope for the technology. That’s a tactic being followed by the likes of Schneider Electric, with its building-side power gear being matched up with its newly acquired smart grid savvy from Telvent and Areva, as well as Honeywell, which is marrying its Akuacom automated demand response servers to its Tridium building management systems. Of course, any platform that aims to take New York City’s buildings in hand will have to work with technologies from multiple vendors. Ken Geisler, Siemens’ vice president of business strategy and energy automation, told me last month that ConEd initially targeted buildings with more than 1 megawatt of power draw, and found about 70 of them, using building management systems from Siemens, Johnson Controls and Honeywell, to start. Siemens and TIBCO are building an enterprise service bus (ESB) platform to run standards-based web services and business processes over their combined platform, with “near-real-time performance” being a key for merging grid operations and building power-down capabilities. Geisler added that the project is a demonstration -- the next step will be to get state regulators and the NYISO grid operator to work out how the platform interacts with existing demand response markets and rules. Speaking of markets and rules, Siemens and IT services partner Atos announced an interesting project aimed at the power generation and energy trading world on Monday. Essentially, the two have promised a “seamless data flow” between Siemens’ power generation planning tools and Atos’ power trading and retail tools, linking both renewable and non-renewable sources of electrons to the platforms where they’re bought and sold. Siemens actually sold its enterprise IT business to Atos last year, in a move seen as divesting itself of non-core business lines. This new partnership is the first new collaboration between the partners, and it would appear to put them in competition with a host of players in the world of energy trading software and technology. One of the bigger players in that space is Ventyx, the utility software conglomerate that Swiss grid giant ABB bought for about $1 billion in 2010. Since then, Ventyx has been adding features like transmission flow and outage data to its market intelligence suite, as well as integrating demand response and virtual power plant capabilities that it has deployed with Xcel Energy’s SmartGridCity project in Boulder, Colo. and is now piloting with other, as-yet-unnamed customers. Schneider Electric has also been getting into energy markets via its $268 million acquisition of energy services company Summit Energy last year, which manages about $10 billion in transactions for about 650 corporate clients.